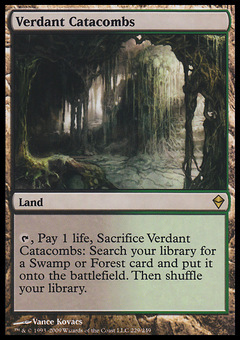 Thousand-Year Storm ($2.75) Price History from major stores - Guilds of Ravnica - MTGPrice.com Values for Ebay, Amazon and hobby stores! Card Text: Whenever you cast an instant or sorcery spell, copy it for each other instant and sorcery spell you've cast before it this turn. You may choose new targets for the copies. 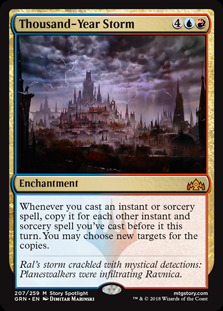 Flavor Text: Ral's storm crackled with mystical detections: Planeswalkers were infiltrating Ravnica.